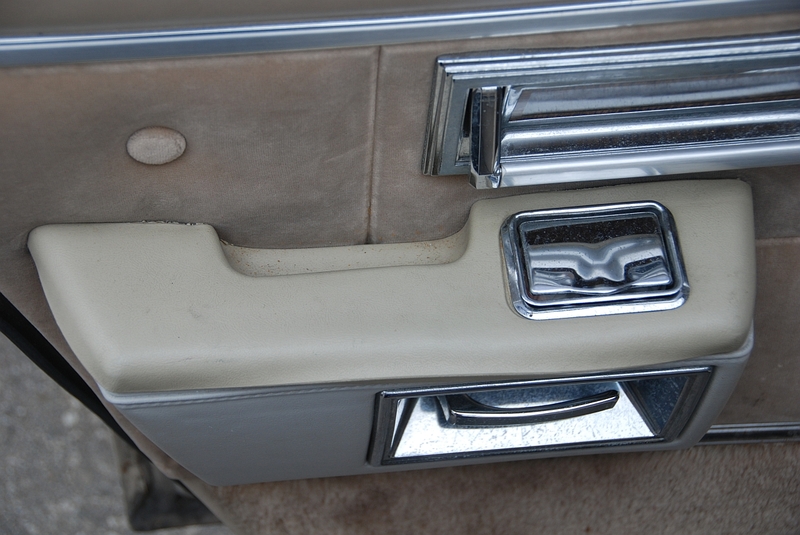 When I got my Pontiac, it was immediately apparent that the interior needed some care. 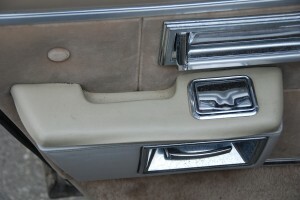 Overall the car is in excellent shape but it’s very much in the condition of a 30 year old daily driver. One of the first things that I tackled was the interior. 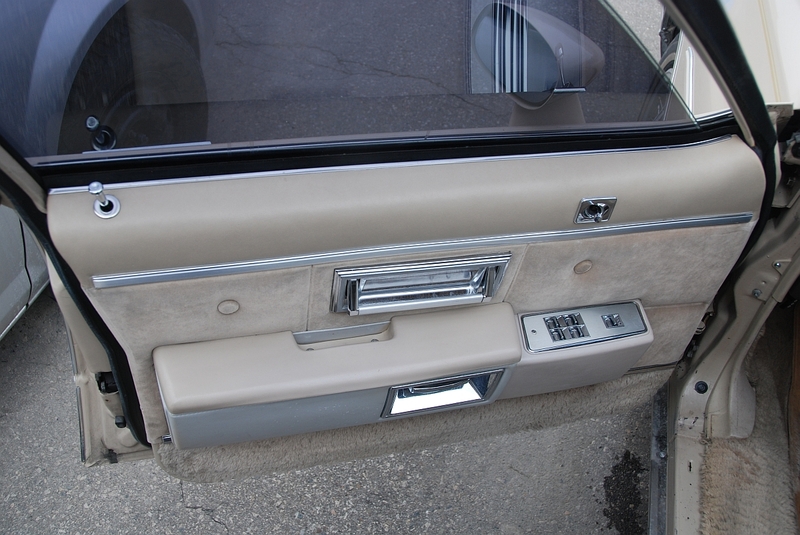 The plush velvet seats were extremely dingy and the vinyl door panels had 30 years of ground-in dirt on them. I forgot to take photos of the front door panels before I cleaned them and the rear door panels aren’t nearly as bad but this photo gives you a rough idea about how fouled the vinyl was. 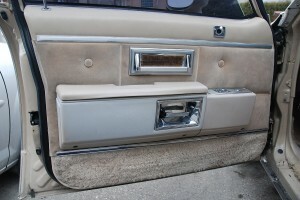 The front door panels, especially the drivers side were much worse than this. After picking up several different vinyl cleaners and watching the dirt on my door panels get shinier without getting any cleaner I figured I needed to try another tactic. After a few minutes of wandering around my garage I came across my container of Polishing Compound and figured it was worth a shot. 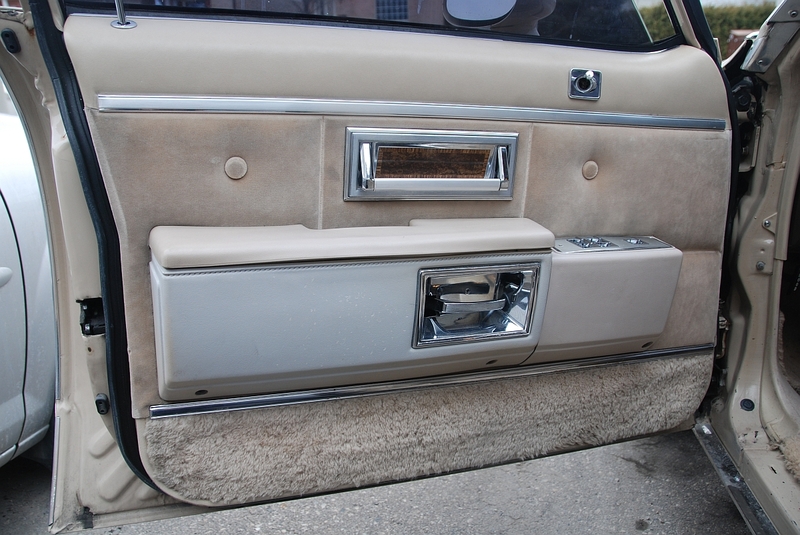 I removed the door panels and dismantled the arm rests to try and keep the velvet from getting affected. I took an old toothbrush and the jar of Polishing Compound and scrubbed all of it. After just one pass the difference was staggering and after rinsing off the Polishing Compound I was shocked to find it had come cleaner than I had ever expected it to be. The vinyl came through the process without any damage and looked every bit as good as new. 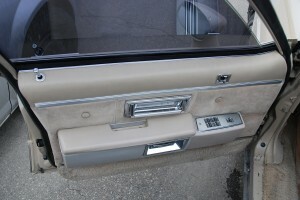 The vinyl on the top of the door panel was soft and supple again and in great shape. After putting some protectant on the vinyl to ensure that it wouldn’t dry out the panels were ready to reinstall. Chalk up another win for attention to detailing! I never would have thought to use polishing compound.